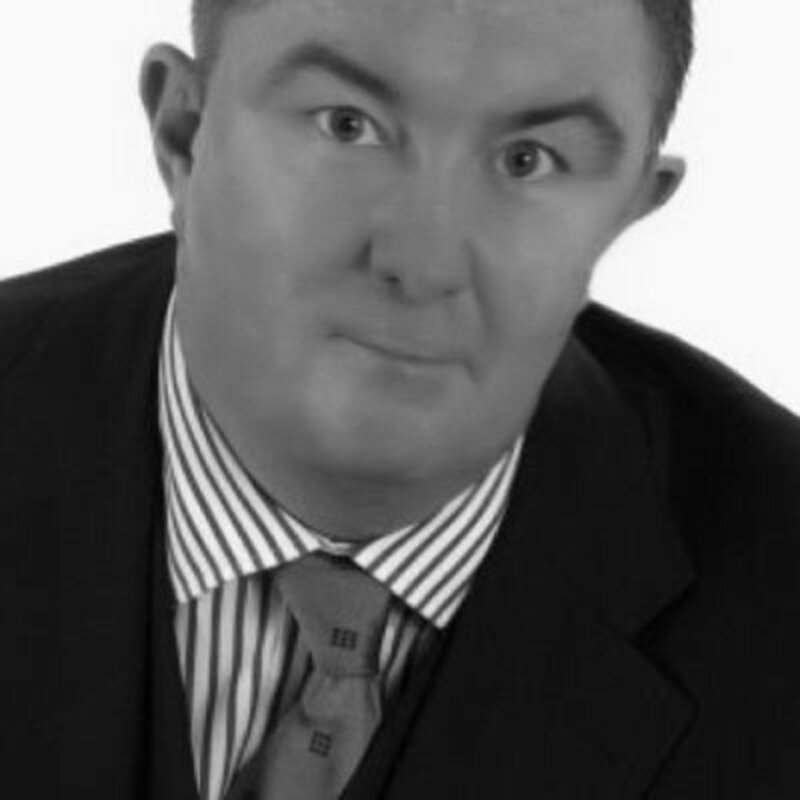 Fran Rooney, businessman, barrister-at-law and Chairman of Blocknubie spoke to Blockleaders’ Nicola Doyle about the use of Artificial Intelligence, the value of Blockchain, and his predictions about regulation and security which are vital for the industry. Football, finance, technology and law. What do these things have in common? Well, Fran Rooney for one. On paper, this man is a multifaceted jewel in the crown of Ireland’s tech empire. Referred to as ’the emperor of the Irish technology era’ (thepost.ie, 2001) -a moniker with which Fran himself has never identified- he has indeed risen, reigned and reinvented himself in the ranks of technological advancement. True, Fran Rooney has experienced a shining career as Ireland’s economic golden boy; fast-moving, constantly changing, and goal-oriented- but there was no silver spoon handed to this Dublin born entrepreneur. Fran earned his success the old-fashioned way- through hard graft and sheer ambition. The eldest in a family of seven, growing up in Ringsend Fran learned the value of an honest day’s work from an early age. Fran tells the story of one of his first part-time jobs, in his early teen years, which involves the calibration and restoration of metal weights for grocery shop scales, and with the telling travels an echo of genuine pride and investment in the task. An interesting job for a thirteen-year-old; one that uncannily foreshadows a lifelong career beginning with accountancy and culminating in the scales of justice with Fran’s current practice as a barrister-at-law. Even now, after decades of success in business, Fran is continuing to work and educate himself in new directions. The challenge of returning to education at this stage was not a deterrent for Fran, and he doesn’t believe it should be when it holds such great potential for change. Having been on the board of the international aid charity, Goal, Fran has overseen the work of volunteers “going out there, doing the work to help the underprivileged in other countries through education”. “Some people see education as a commodity now. While people here have the opportunity to get educated, going back a generation we didn’t have an opportunity like that. The reality is that ‘commodity’ is a relative term, depending on one’s proximity to the breadline, a sad fact that Fran is mindfully connected to through his ongoing support of his charity of choice with Brother Kevin at the Capuchin Day Centre for homeless people in Dublin. Hunger, lack of shelter, social exclusion and loss of dignity are harsh and unnecessary truths faced daily by the hundreds of people to whom Capuchin offers support in the form of food, clothing and hygiene facilities- “in contrast to the “inaction of the government” to the Homeless Crisis”. As our conversation gets going, and Fran unfolds each chapter of his prolific career in turn, I can’t help but feel as though I’m reading several biographies at once. A protagonist in such renowned titles as Baltimore, Vimeo, FAI and Blocknubie, Fran is a leading figure in the story financial technology. But where does it begin? I ask Fran where this burning sense of entrepreneurship came from that has driven him so far. He answers with absolute certainty and self-awareness. It’s no surprise then that the main attraction for Fran to starting his career with the civil service was that the job came with the option to further his studies -something that was not particularly common for the working-class Irish back in the day. Progression and attainment were a constant force, driving Fran to move higher through the ranks and setting the wheels in motion for whatever it took to succeed. This persistent ambition is the bedrock of Fran’s business philosophy, underpinning an astute foresight when it comes to the next big thing. During the 90’s it was Fran’s discerning eye that cast a spotlight on the need for security as being a market gap between finance and technology. Enter Baltimore, a global heavy hitter headed up by Fran, which listed on both NASDAQ and the London Stock Exchange (FTSE 100) with 1400 employees and a market capitalisation of over €13 billion. At its zenith, Baltimore received worldwide recognition when Bill Clinton and Bertie Ahern signed an Electronic Commerce deal using technology developed by Fran and his team. Fran considers this to be one of the proudest moments of his career, but at close second is leading his team of employees to fulfil their aspirations and earn a better life, before the dotcom bust drove Baltimore under. During the dotcom boom, while everyone wanted to be the star who made the game-winning goal, Fran Rooney knew instinctively that a leader needs to put people in a position that can match their ambitions. While the demise of the dotcom sector, and subsequent implications for Baltimore, has been well documented in the media, this humanising insight suggests that a more pivotal factor in the equation has been left unwritten. Helping real people to get off the ground and get going is of genuine concern to this man who, immediately after the bubble burst, forged fearlessly ahead toward higher ground. Business, just like football, is a game of adjustments. Yes, there is strategy involved, but leaders must anticipate that things will go wrong. That’s when they have the players huddle up and try to get it right. This is the heart of achieving success. “Yesterday is not ours to recover, but tomorrow is ours to win or lose.”– Lyndon B. Johnson. For Fran, once his interest was piqued and he recognised the potential that was waiting to be mined, any effort required to get involved in blockchain technology was a sound investment. Hard work and earnest ambition -each in perfect balance on the weighing scale of success. “Blockchain itself, as a technology, means being able to split up data and distribute it so that it’s not in only one place. It has serious potential to make colossal innovative changes to how we do business in the world.” Simple enough. Fran shares his prediction that the ease and accessibility of exchange will be paramount to the rise of blockchain. So too, he anticipates, will be the importance of the regulation of Blockchain to unlock its full potential. If we can learn anything from Fran Rooney, its to never let the prospect of exerting effort be a deterrent from enterprise, and that fortune does favour the bold. The most impelling aspect about Blockchain technology, for Fran, is that it poses a challenge to the praxis of autonomous control of data currently upheld by the status quo. Fran tells me it’s “a bit scary, but fascinating at the same time”, which could almost be the mantra for any one of his endeavours -right before he takes a giant leap into unknown territory. Honesty. Integrity. Trust. It goes back to his love of sport, even prior to his undertaking as manager of the Republic of Ireland women’s soccer team, and as CEO of the Football Association of Ireland; the work ethic, the seizing of opportunities, never taking your eye off the ball, and team mentality. Football teaches you to seek the contact, go for the hard tackle where necessary, and to make it happen. Fran in balancing contrast with the “Raging Bull” portrayal of him in the 2006 RTÉ documentary. Tenacity and a desire to succeed does not negate community of interests for Fran. In fact, a leaf from his playbook shows us it’s the power of both in equilibrium that drives us forward.